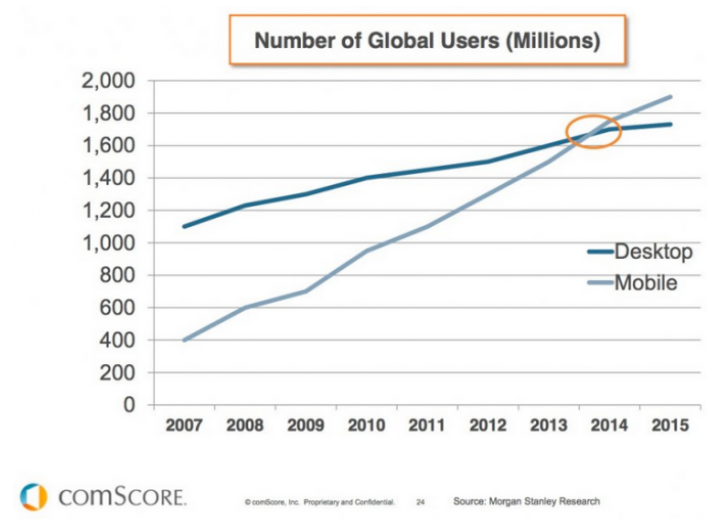 … and Statista predicts that the number of mobile phone users will grow beyond 5 billion in 2019. According to Smart Insights, the average daily time spent on mobile has gone from 0.4 hours in 2010 to 2.8 hours in 2015. 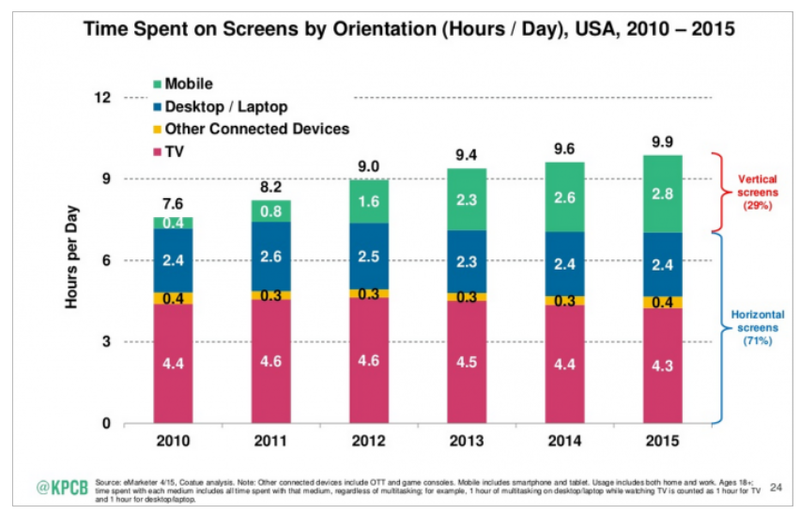 It hasn’t impacted how much time people spend on desktop (2.4 hours a day – the same as in 2010), TV (4.3 hours a day vs. 4.4 hours a day in 2010), or even other connected devices (less than 30 minutes a day in both 2010 and 2015), but time on mobile has seen a 700% increase in 5 years. 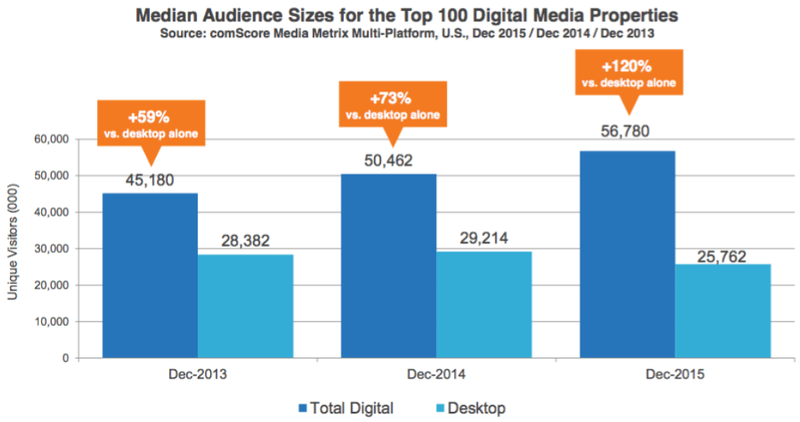 According to Marketing Land, at the brink of 2016, more than 50% of digital traffic for the top 100 digital media properties came from mobile. While research companies sit down to analyze 2016, we want to make sure that you’re ready to master the mobile trend in 2017. Therefore, we’ve listed the upcoming trends that will matter most to mobile publishers, and followed that with publisher tips for mobile monetization. 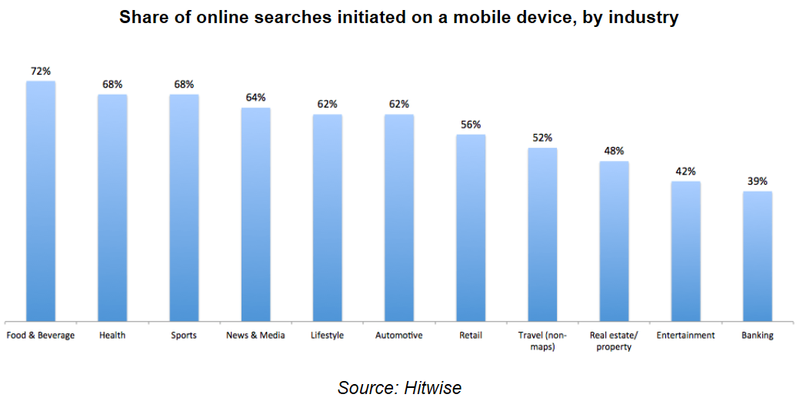 50% of global Google searches comes from mobile devices, and it’s around 58% in the US, reports Search Engine Land. The site also reports that more than half of online searches in most industries have come from mobile in 2016. 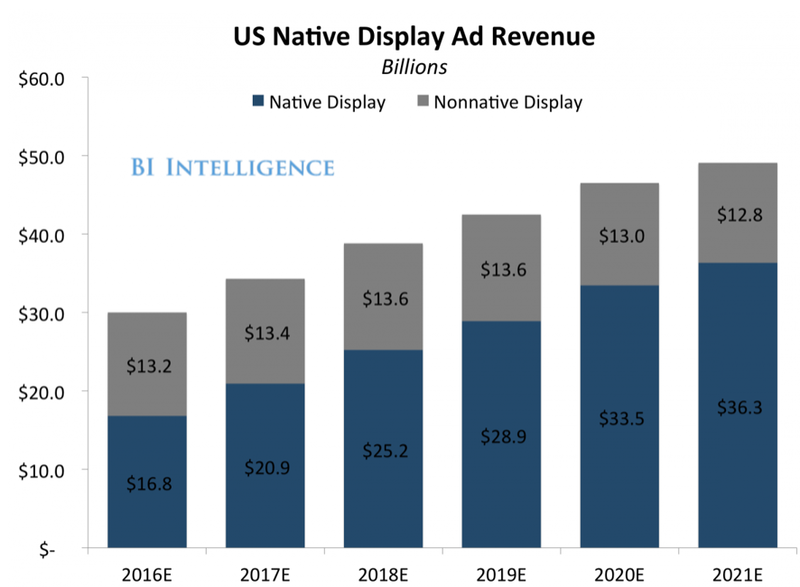 No wonder that mobile advertising is the fastest growing ad format online, according to Business Insider. 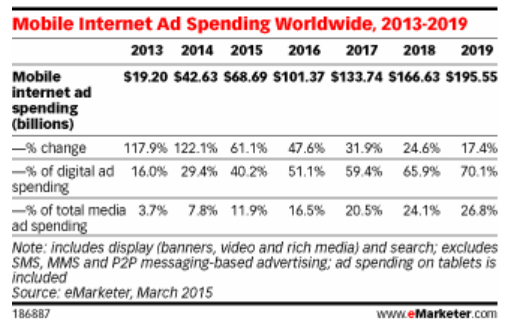 eMarketer predicted that global mobile ad spent will top $100 billion by 2017, accounting for 51% of the digital market. Premium publishers that want to know how to monetize mobile sites must pay attention to the top mobile trends ahead. Smart mobile publishers know this to be true: As much as mobile’s share in users’ digital experience grows, it will not stand on its own in the foreseeable future. People use mobile as part of a bigger ecosystem. 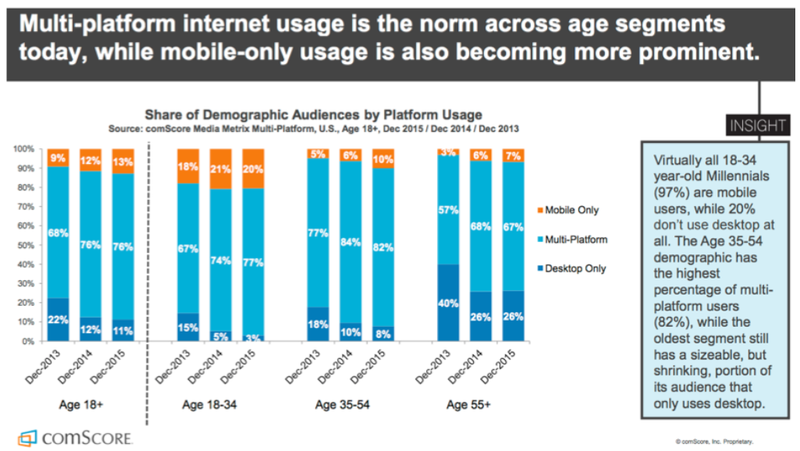 comScore discovered that 67-82% of every age group now uses more than one device to go online, reports Smart Insights. These people expect a consistent, cohesive, personalized experience no matter which platform they use to consume publisher content. That means that audience data will continue playing a big role in 2017. Smart mobile publishers will leverage big data and behavioral analytics to make the most of their audience data from both mobile and desktop. Audience data is also critical to getting better results with programmatic ad buying – meaning, buying ad space using software, not a 1 on 1 vendor. 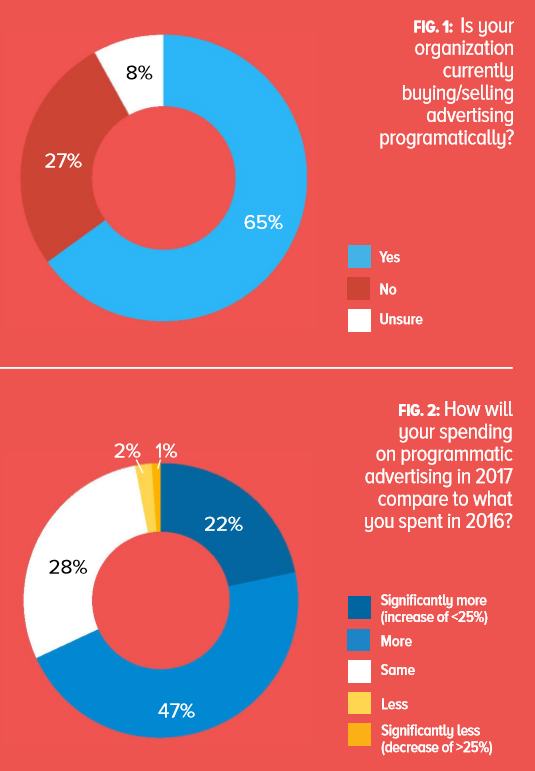 According to Dun & Bradstreet, as programmatic’s targeting abilities keep improving, 65% of companies bought or sold programmatic advertising in 2016, and 69% plan to spend more on programmatic in 2017 than they did in 2016. The biggest driver of this growth? Mobile ads. 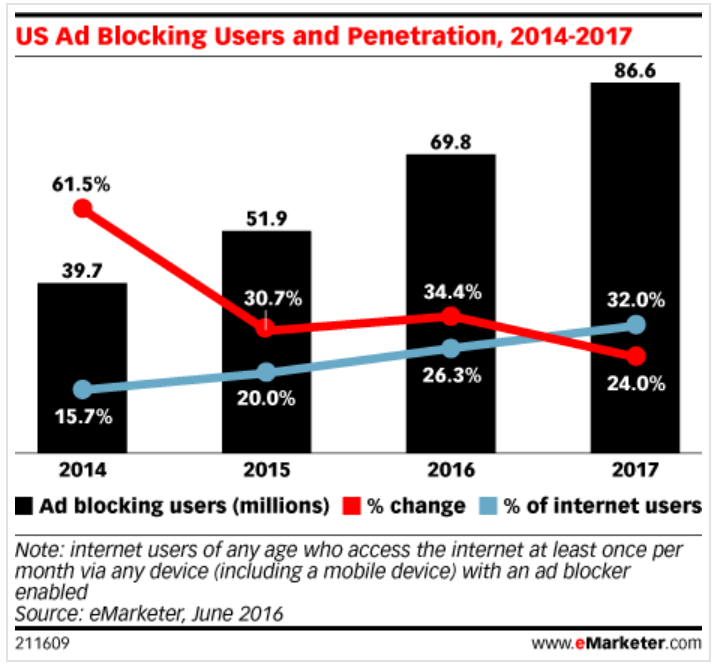 As we reported before, the ad blocking market will continue to grow in 2017. 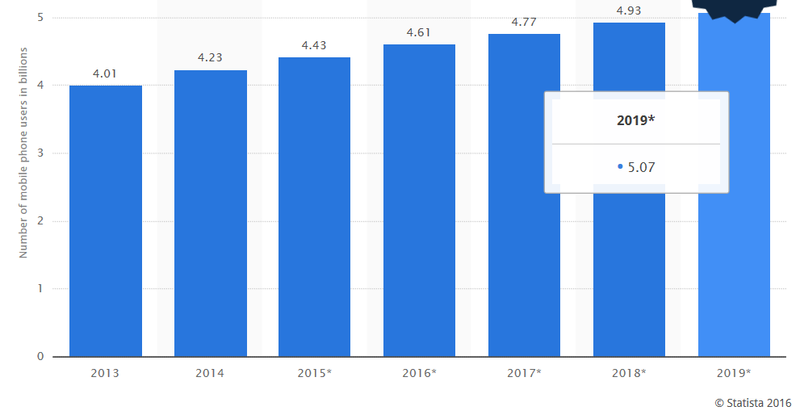 Mobile ads haven’t been blocked as much as desktop ads, because a big portion of people use more apps than mobile sites, but as in-app advertising is expected to reach $17 billion by 2018, we’re bound to see growth with in-app ad blocking as well. You can Google “publisher tips for mobile monetization” and learn all about how to monetize mobile sites – we’ll even help you with it in the next section of this article – but the first thing any online publisher – especially a premium publisher – needs to do is to find creative ways to counter ad blocking, so your advertising efforts won’t be in vain. 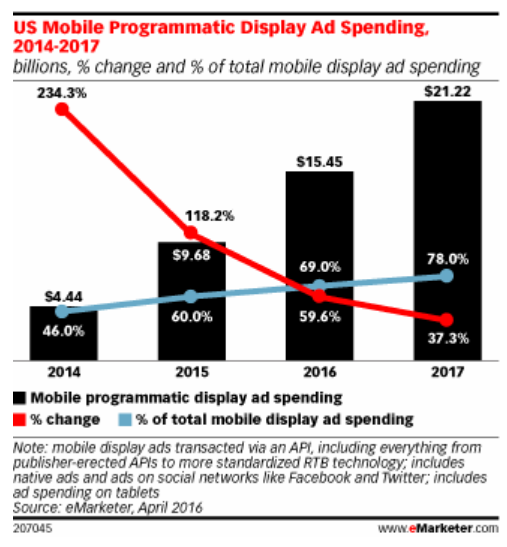 Advertisers are getting to pay for more mobile ads than ever before in 2017, but the question “how to monetize mobile sites” isn’t that easily resolved. Here are a few tips that will help premium publishers maximize mobile ad revenues. Here at Imonomy, we only offer advertising solutions that load quickly and work well on mobile. Why? Because we know mobile publishers lose users every day due to slow load times. In fact, “Google says 61% of users are unlikely to return to a mobile site they had trouble accessing. And, even worse, 40% visit a competitor’s site instead,” reports McKinsey & Company. 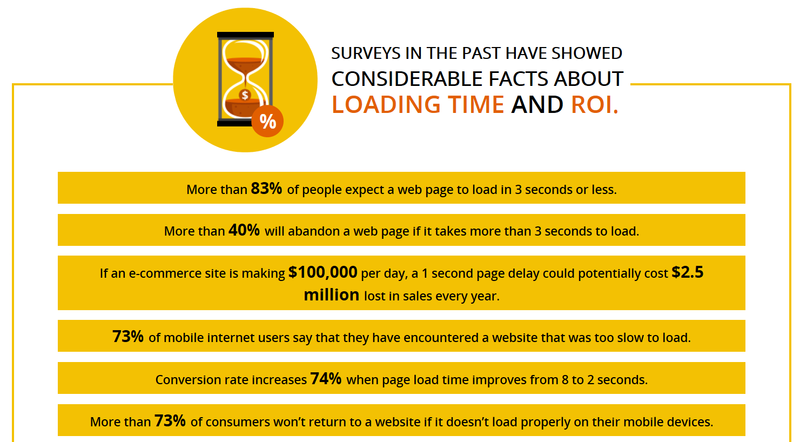 Want to make sure your mobile site is fast enough? According to Think with Google, it needs to load within 3 seconds, or 40% of people will abandon it. Worse – Webby Monks reports that 46% of these visitors will tell other people about their poor experience. On the bright site, “conversion rate increases [by] 74% when page load time improves from 8 to 2 seconds,” reports Webby Monks. As we previously shared, TopRank Marketing reported that “74% of publishers believe that native advertising actually adds value for their readers and viewers.” Moreover, 84% of publishers haven’t received any complaints about them. 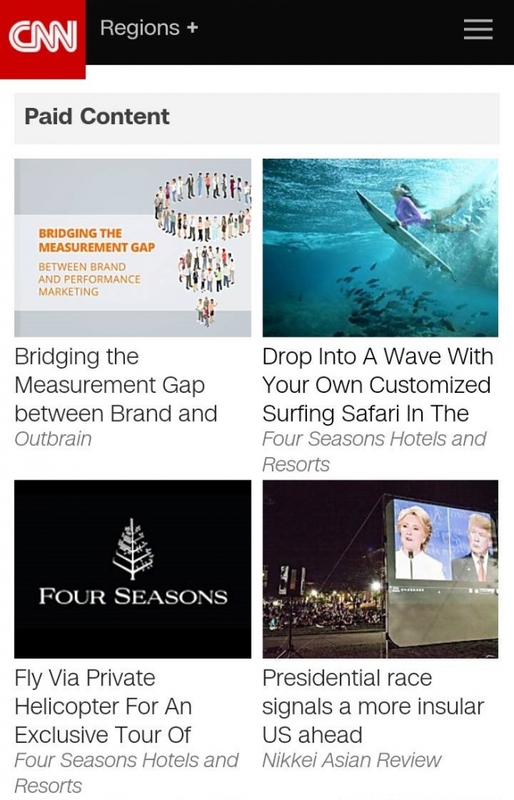 One native ads format that works really well on mobile is content recommendations at the bottom of articles. Many premium publishers use it because it complements and improves the user experience, instead of disrupting it, like pop up ads do. Check out how large the images and texts are in these content recommendations on CNN’s mobile site. They’re beautiful to look at, easy to click on, and only appear at the bottom of the article, when readers are (hopefully) ready to consume more content. Here at Imonomy, we see proof of that every day, as we work with premium publishers to maximize mobile ad revenues with mobile friendly in-image ads. 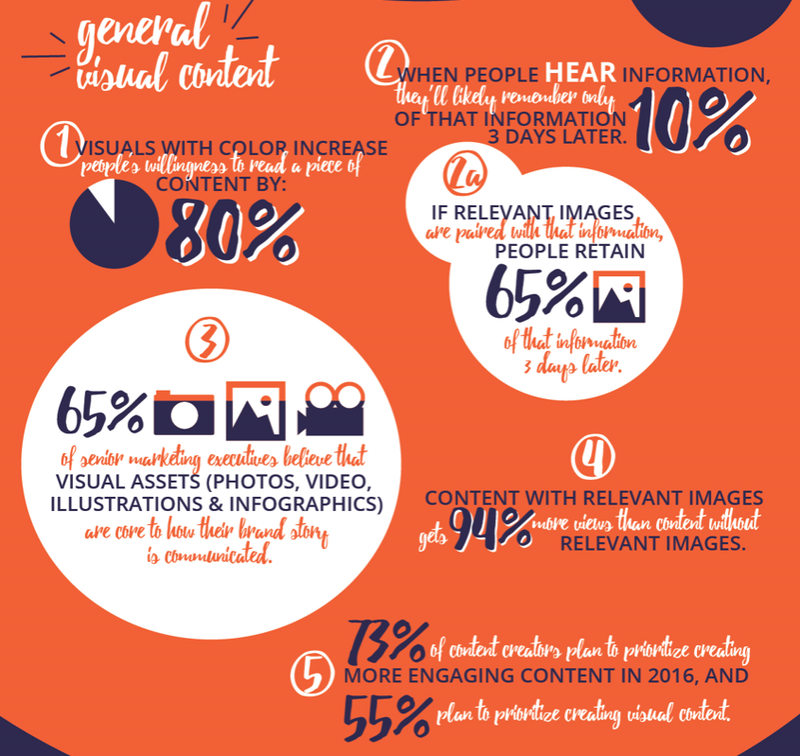 The results are pretty amazing – many of our partners see significant results on mobile – which is why we’re always surprised that only 0.1% of all online images are being monetized. On the other hand, that means that there’s still a big opportunity for mobile publishers to stand out from the competition by giving their audiences a better visual ad experience. The best publisher tips for mobile monetization are to figure out what your audience wants, and give it more of that. In other words, give them video. According to Moz, posts that feature videos get 3 times as many inbound links than posts with just text. According to Branch Metrics, “mobile video consumption increases [by] 100% every year. But would they consume video ads? According to E-Tailing and Invodo, almost 60% of people feel more confident about their purchase after watching product-related videos, which means they cancel less. It works in B2B too. Forbes reports that 25-51% of executives (depending on their age) watch videos before making business purchases. That means that people want to consume video, and even prefer it when it comes to purchase decisions. Advertisers, as we wrote above, are buying more video ad space. Premium publishers that want to maximize mobile ad revenues need to start prioritizing video mobile ads as well. Publisher tips for mobile monetization are great as best practices guidelines, but it’s important to test what works for your specific audience when it comes to mobile ads. Sometimes what actually works for you can be quite surprising. If you’ve never done this before, take some time to learn how to run your first A/B test. But even if you have, take time to research. Some mistakes are pretty common, and can be avoided. Do this, and you’ll figure out not only how to monetize mobiles sites, but how to best monetize your own. Knowledge is power. Now that you know how to prepare for 2017, it’s time to personalize a strategy to your specific needs, and test your way to maximizing mobile ad revenues.